Dr. Manson specializes in hip and knee replacement surgery and treatment of hip and knee arthritis. He received his medical degree from Northwestern University School of Medicine and completed his residency in orthopedic surgery at the Johns Hopkins Hospital. He pursued an additional year of advanced training in the management of complex fractures at the R Adams Cowley Shock Trauma Center in Baltimore. He followed with an additional one-year fellowship in total joint replacement at the Hospital for Special Surgery in New York, where he trained in minimally invasive joint replacement, revision joint replacement, and hip and knee surgery. From 2009 to 2019 Dr. Manson was an orthopaedic trauma surgeon at the R Adams Cowley Shock Trauma Center and cared for patients with complex fractures and multi-system trauma. In addition, he cared for patients from Maryland, Pennsylvania, Delaware and West Virginia who were referred for complex fractures or infections around existing hip and knee replacements and directed the Maryland Statewide Referral System for these patients. He also had a hip and knee replacement practice at St Joseph’s Hospital during this time. Dr. Manson now limits his practice to patients with arthritis and provides treatments ranging from early treatments for arthritis to joint replacement surgery. 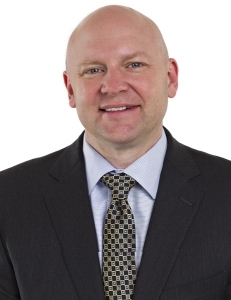 Dr. Manson’s clinical and research interests include direct anterior hip replacement, early treatment of knee arthritis including osteotomy and partial knee replacement, and joint replacement after previous fracture. He is a member of the American Association of Hip and Knee Surgeons and the Orthopaedic Trauma Association. He also serves on the Hip Program Committee for the American Association of Orthopaedic Surgeons and the Annual Program Committee for the American Association of Hip and Knee Surgeons. Before attending medical school, Dr. Manson was a biomedical engineer involved in biomedical testing and implant design. He continues to be involved in implant design for fracture fixation and joint replacement. Dr. Manson was named a Top Doctor in the specialty of Orthopaedic Surgery: Joint by Baltimore magazine in 2016 and again in 2017. Hip replacement (also known as hip arthroplasty) is an effective treatment for end stage arthritis of the hip. Common questions are answered below; feel free to call our office with additional questions. Hip arthritis is a condition where the cushion between the two bones in the hip (cartilage) has worn out and deteriorated. This is most often due to slow gradual wear and tear, but can also be due to broken bones, vascular problems and infection. What is a total hip arthroplasty? The hip is a ball and socket joint. In a total hip replacement, the socket (medical term acetabulum) is replaced with a metal “cup” lined with an advanced plastic bearing surface. The ball portion (medical term femoral head) of the hip is replaced with a high strength metal or ceramic ball which is mounted on a stem which is placed in the femur (thigh) bone to fix it rigidly in place. In this way, the damaged surfaces are replaced while leaving the majority of the bone around the hip intact. When is it time to have a hip replacement? Most of the time, hip replacement is an entirely elective procedure. You may delay it for months or even years with no increased difficulty for the patient or surgeon. You should not let anyone tell you that you “need” a hip replacement, because for the most part hip arthritis is certainly not a life threatening condition. The reason to get a hip replacement is to improve pain and function. That being said, hip replacement is very successful relieving the pain and disability associated with hip replacement. If you have arthritis and groin pain and have either 1. pain that keeps you up at nite, or 2.you have progressed to walking with a cane or have other significant disability related to your hip, it may be time to consider hip replacement. Do you use minimally invasive surgery? Yes, I was specifically trained in minimally invasive techniques. Fifteen years ago, hip replacement was performed using a large incision and patients stayed in the hospital for a week. Now hip replacement can be performed through smaller incisions and patients make a more rapid recovery. However, my main focus is on building a durable reconstruction that will last for years, and we use a surgical incision length that will allow us to place your hip implants in an optimal position. Do you use a direct anterior hip approach? Yes, we do use direct anterior hip replacement for the majority of patients undergoing first time hip replacement. I like the direct anterior approach because it allows more accurate installation of the hip replacement parts and patients recover slightly more rapidly than with other approaches. No specific hip precautions are necessary after a direct anterior approach. Not everyone’s hip is suitable for direct anterior hip replacement. If you have had previous hip surgery, have extensive bone deformity or have a high Body Mass Index (ratio of your weight to your height) than anterior hip replacement may not be the best option for your hip replacement. Where does the surgery happen? The hip is replaced in a surgical procedure with the patient under anesthesia. Regional anesthesia is usually used which provides excellent pain relief both during and after the surgery. The surgery takes approximately an hour to an hour and a half. Patients usually are transferred from the operating room to the recovery room and then later in the afternoon go their hospital room. All surgery is performed in operating rooms specially designed for joint replacement. Patients do not have any additional medical problems can leave the hospital the same day as long as someone is able to stay with them the night of surgery. Other patients usually stay in the hospital for one night following a hip replacement. During that time we will be monitoring your vital signs and laboratory values. Most importantly, the physical therapists will be teaching you how to get around on your new hip. Even patients who leave the same day as the surgery are evaluated by physical therapists and we make sure that patients can climb stairs, get in and out of a car, and maneuver in their simulated home environment. What is physical therapy like after a hip replacement? After your hip replacement, the physical therapists have an intense schedule to maximize your mobility. Patients receive both physical therapy in the hospital and then after they go home for a two week period. Specific hip strengthening exercises are not usually required after hip replacement; and in many cases repetitive strengthening exercises can irritate the new hip. The physical therapists assure that you are safe to walk, get in and out of a car and go up and down stairs. The best hip strengthening exercise after surgery is walking at a moderate pace. Will I be in pain after hip replacement? Most patients experience some amount of pain after hip replacement. Spinal anesthetic is used in the vast majority of patients which allows patients to be asleep during the surgery. Most patients however do not require a breathing (endotracheal) tube. In the hospital, patients have several different medications to control pain including anti-inflammatory medications, nerve pain medications and traditional narcotic pain pills. Patients go home with all three of these medications. Most of the time patients are free of narcotic pain pills by 2-6 weeks after surgery. Often patients are mostly pain free by eight to twelve weeks after surgery. While some patients may continue to experience some amount of pain, the vast majority of people are extremely happy with the improvement in pain compared to before the surgery. Will my legs be the same length after surgery? The vast majority of patients have the same leg length after the operation as before. We use several checks in the operating room to make sure this is the case. In rare cases, it is necessary to lengthen the leg with the hip replacement slightly to make the hip more stable, however this is very uncommon. Many people with severe hip arthritis feel that the leg with the arthritis is shorter than the other leg. We can correct this to a certain extent and we should discuss it prior to your surgery. How do you prevent blood clots after surgery? We use several strategies to minimize the chance of a blood clot after surgery, including spinal anesthetics, calf compression devices and early mobilization. In additions hip replacement patients are placed on a blood thinner for six weeks after surgery. This blood thinner is usually aspirin unless patients have a history of blood clots..
Should I donate blood prior to my hip replacement? I generally discourage patients from donating their own blood prior to a hip replacement, as it does not reliably decrease your need for allogeneic blood (blood from the blood bank). Do you use the problem hip implants that I see on TV? Several hip implants have been recalled, and you have probably seen these in commercials on TV. These implants use an all metal ball that rubs on an all metal socket. We have never used these implants at the University of Maryland, preferring a different style of implant that have a demonstrated track record of durability. 80% of hip replacements are still functioning well for patients at 20 years after surgery. Several factors determine how long a hip replacement lasts including patient age and activity level, the type of implant used and the reason the hip was replaced. Hip replacement materials continue to improve and we are optimistic that current designs will last longer than the ones we were using twenty years ago. Knee replacement (also known as knee arthroplasty) is an effective treatment for end stage arthritis of the knee. Common questions are answered below; feel free to call our office with additional questions. Knee arthritis is a condition where the cushion between the two bones in the knee (cartilage) has worn out and deteriorated. This is most often due to slow gradual wear and tear, but can also be due to broken bones, vascular problems and infection. The knee is a complex multi-axle hinge joint. In a total knee replacement, the entire knee is not removed. Instead surgeons “cap” then ends of the bone much the way a tooth is capped just clearly on a larger scale. In surgery, the surgeon removes 3/8 inch of bone from the femur (thigh) bone and 3/8 of bone from tibia (shin) bone. This bone is replaced with metal caps on the ends of the bone. In between the two metal pieces, the surgeon installs a high strength plastic “ bumper” or insert so that the metal parts do not rub against each other. In this way, the damaged surfaces are replaced while leaving the majority of the bone around the knee intact. Most of the time, knee replacement is an entirely elective procedure. You may delay it for months or even years with no increased difficulty for the patient or surgeon. You should not let anyone tell you that you “need” a knee replacement, because for the most part knee arthritis is certainly not a life threatening condition. The reason to get a knee replacement is to improve pain and function. That being said, knee replacement is very successful relieving the pain and disability associated with knee replacement. If you have arthritis and knee joint pain and have either 1. pain that keeps you up at nite, or 2.you have progressed to walking with a cane or have other significant disability related to your knee, it may be time to consider knee replacement. Yes, I was specifically trained in minimally invasive techniques. Fifteen years ago, knee replacement was performed using a large incision and patients stayed in the hospital for a week. Now knee replacement can be performed through smaller incisions and patients make a much more rapid recovery. However, my main focus is on building a durable reconstruction that will last for years, and we use a surgical incision length that will allow us to place your knee implants in an optimal position. The knee is replaced in a surgical procedure with the patient under anesthesia. Regional anesthesia is usually used which provides excellent pain relief both during and after the surgery. The surgery takes approximately an hour to an hour and a half. Patients usually are transferred from the operating room to the recovery room and then later in the afternoon go their hospital room. All surgery is performed in operating rooms specially designed for joint replacement. Patients who do not have any additional medical problems can leave the hospital the same day as the surgery. This is provided they have an adult to stay with them the night of surgery. Other patients usually stay in the hospital for one night following a knee replacement. During that time we will be monitoring your vital signs and laboratory values. Most importantly, the physical therapists will be teaching you how to get around on your new knee. What is physical therapy like after a knee replacement? After your knee replacement, the physical therapists have an intense schedule to maximize your mobility. Patients receive both physical therapy in the hospital and then after they go home for a two week period. Making sure the knee straightens all the way and bends as much as possible is very important after knee replacement. The physical therapists assure that you are safe to walk, get in and out of a car and go up and down stairs. The best knee strengthening exercise after surgery is walking at a moderate pace. Will I be in pain after knee replacement? Most patients experience some amount of pain after knee replacement. Spinal anesthetic is used in the vast majority of patients which allows patients to be asleep during the surgery. Most patients however do not require a breathing (endotracheal) tube. Patients are asleep during the surgery and do not remember the surgery itself. In the hospital, patients have several different medications to control pain including anti-inflammatory medications, nerve pain medications and traditional narcotic pain pills. Patients go home with all three of these medications. Most of the time patients are free of narcotic pain pills by 2-6 weeks after surgery. Long-term, patients does that knee replacements take away 90% of the preoperative pain level. In contrast, hip replacements take away 95-98% of the preoperative pain. So there will still be some degree of pain after knee replacement. However the vast majority of patients feel that they do not need to take medication any longer for knee pain. In addition, most patient's feel that they are not limited from any of their activities due to knee pain. If you has patients whether they are glad that they have the knee replacement done, the vast majority report that they are very happy that they went through with the surgery. The vast majority of patients have the same leg length after the operation as before. We use several checks in the operating room to make sure this is the case. In rare cases, it is necessary to lengthen the leg with the knee replacement slightly to make the knee more stable, however this is very uncommon. Many people with severe knee arthritis feel that the leg with the arthritis is shorter than the other leg. We can correct this to a certain extent and we should discuss it prior to your surgery. We use several strategies to minimize the chance of a blood clot after surgery, including spinal anesthetics, calf compression devices and early mobilization. In additions knee replacement patients are placed on a blood thinner for six weeks after surgery. This blood thinner is usually aspirin unless patients have a history of blood clots. Should I donate blood prior to my knee replacement? I generally discourage patients from donating their own blood prior to a knee replacement, as it does not reliably decrease your need for allogeneic blood (blood from the blood bank). Do you use the problem knee implants that I see on TV? Several knee implants have been recalled, and you have probably seen these in commercials on TV. We do not use these implants at the University of Maryland, preferring a different style of implant that have a demonstrated track record of durability. 80% of knee replacements are still functioning well for patients at 20 years after surgery. Several factors determine how long a knee replacement lasts including patient age and activity level, the type of implant used and the reason the knee was replaced. Knee replacement materials continue to improve and we are optimistic that current designs will last longer than the ones we were using twenty years ago. Hip replacement involves removing the ball and part of the socket of the native hip and replacing them with metal and plastic parts. This is one of the most successful operations ever devised, and many surgical approaches (ways to access the bones) have been used over the years. Some of these approaches involve removing some muscle from either the back or the front of the top of the femur to gain access to the bones. During the past 10 years, the direct anterior hip replacement has gained popularity worldwide as an approach for the surgery. The main advantage of this approach is that no muscles are cut during the procedure because the surgeons work between the muscles in front (anterior) of the hip to access the hip joint. This theoretically results in less muscle damage, quicker recovery, and probably less risk of dislocation (hip popping out of joint). In addition, because of the way patients are positioned during surgery, it makes it easier for the surgeon to judge whether the length of the two legs are equal. These advantages have recently been scientifically validated by randomized clinical trials. I like the direct anterior hip replacement approach primarily because the patients recover faster than with other surgical approaches. In addition, I believe that the direct anterior hip approach allows for more accurate installation of the socket component of the hip replacement. More accurate socket placement has the advantage of lower wear rates and less hip impingement (binding of the ball on the edge of the socket). In my experience, patients with a direct anterior approach have less of a chance of dislocation (where the ball pops out of the socket) than patients treated with other approaches. To be clear, patients who have a posterior approach to the hip do very well after hip replacement. Not everyone is a candidate for direct anterior hip surgery. Patients who have had extensive previous hip operations, for example, or who have a very high ratio of body weight to height might be better suited to other hip approaches. A specific side effect of the direct anterior approach is numbness of a skin nerve on the front of the thigh close to where the incision is made. In the majority of these operations done by expert surgeons, this is a common finding. The vast majority of patients who experience this are not bothered by the numbness, but it is important to understand that this can occur. If you have any questions about the direct anterior approach or hip replacements in general, feel free to discuss them with me during your visit. My primary goal is to provide you with a stable hip that relieves your pain. For your hip replacement, the most important factor is that you find a surgeon with whom you get along on a personal basis. In addition, your surgeon should specialize in joint replacement and ideally should perform more than 50-100 hip replacement surgeries per year. The surgical approach is a secondary consideration. Our preferred approach to the hip is direct anterior hip replacement, but surgical approach is just one of many factors in your recovery. Hip replacement is likely to be a very successful operation for you and the most important factor is having an experienced surgeon with whom you get along well. When is it Time to Have Hip Replacement? Hip replacement is one of the most successful operations of modern medicine and is very effective at relieving pain. In the vast majority of patients, hip replacement is an elective procedure. There is no rush to getting a hip replacement and it should be done when the patient is physically and emotionally ready for the operation. This paper will explore non-operative treatment of hip arthritis, risks of surgery and signs that it may be time to consider hip replacement. For patients who have hip arthritis and are not yet ready to undergo surgery, the management of this hip arthritis consists of physical therapy, corticosteroid injections into the hip, and the use of anti-inflammatory medications. Physical therapy can help strengthen the weakened hip muscles surrounding an arthritic hip and improve a patient's ability to deal with the pain and dysfunction of hip arthritis. Therapy can also sometimes increase the motion surrounding the hip. Many patients who have hip pain have low back pain as well Physical therapy is very good at improving low back pain. Corticosteroid injection involved a radiologist injecting an anti-inflammatory steroid medication directly into the hip joint to help relieve some of the pain of hip arthritis. These shots can be repeated every three months to make a patient more comfortable. Anti-inflammatory medications such as Tylenol (acetaminophen) and ibuprofen are also effective at relieving pain. For Tylenol (acetaminophen) to be effective, patients should take it three times a day. For example for patients without liver problems, they can take two Extra Strength Tylenol (1000 mg acetaminophen) three times a day to maximize the results. Ibuprofen can also be used for pain relief as long as patients do not experience stomach problems such as ulcers or bleeding. Excessive doses of ibuprofen can harm the kidneys so follow the instructions on the bottle. Do These Non-Operative Treatments Work? These Non-operative treatments do not treat the underlying problem, but rather treat the inflammation and side effects of the arthritis. Their purpose is to limit the patient's symptoms, not cure the underlying arthritis. Unfortunately, the conservative treatments for hip arthritis are not nearly as effective as they are for knee arthritis and patients who have groin pain and an evidence of arthritis on x-ray can unfortunately expect their condition to worsen over time. Hip replacement is a very commonly performed surgery and overall it is extremely safe. However, in small number of patients, unwanted complications can occur. Below is a description of some of the complications that can occur. Prior to and during to a hip surgery, we take a number of steps to limit infection and the University of Maryland is a leader in the prevention and treatment of joint replacement infection. Overall, infection is very uncommon. However, infections do occur and when they occur, their treatment is quite disruptive for the patient and the surgeon. If an infection occurs around the hip replacement; usually it means having to remove the hip replacement parts. After the hip is removed, the patient walks around on a temporary antibiotic hip for three months and then the hip is redone (three surgeries in all) As you can imagine, infection is very disruptive to the patient's life and although it occurs very infrequently around a hip replacement, patients should be aware that this is a risk. Hip replacements are not as stable as a patient's native hip and dislocation where the head ball pops out of socket is a possible risk of hip replacement. At the University of Maryland, we use specific techniques to prevent this and have an extremely low dislocation rate. Long-term for most patients, we do not have any specific limitations on hip movement. However, the hip replacement is always going to be slightly more prone to dislocation than the native hip joint. Most patients with hip arthritis have one leg that is shorter than the other leg and usually the shorter leg is the one with the hip arthritis. During the hip replacement, we use multiple techniques to get your leg lengths as close as possible to being equal. It is not possible to get them exactly laser-line equal, but in the vast majority of cases, it is possible to get the patients leg lengths close enough that the patient does not notice any difference in between the two legs. The one exception to this is if the hip with the arthritis seems longer than the other hip prior to surgery. In general, it is very difficult to make a hip shorter at the time of hip replacement because the hip will no longer be stable. If the hip that has the arthritis feels longer than the other hip, this will be the case after surgery as well. At the University of Maryland, we use specific approaches and methods for measuring leg length to do everything we can to get your legs as close to being equal as possible. However, the main goals of hip replacement are 1. Stable hip implants and 2. Pain relief. Leg length equality is a priority only after these first two are established and therefore it is not always possible to make patients’ legs equal in length following hip replacement. Hip replacement parts in the United States are most often press fit into the bone at the time of surgery. Either during surgery or after surgery it is possible to develop cracks in the bones where the implants are pressed into place. If this is seen at the time of surgery, then it can be addressed at that time. However, sometimes these cracks develop after the surgery. To limit these problems, we use special implants and techniques to avoid fractures. In addition, we ask that patients use some form of assistive device, either a walker or a crutch or a cane for six weeks after the hip replacement to provide some additional support to prevent twisting or falling that could produce a fracture around the hip implant. Hip replacement can temporarily worsen any particular medical conditions that a patient has. The most frequent medical complications following hip replacement are blood clots. We take specific steps to prevent blood clots during and after hospitalization, but they can occur and require treatment. In addition, patients that have heart or lung disease, they can see worsening of these problems such as heart attacks, problems with breathing, or stroke after joint replacement. All these complications are very rare, however they do occur and it is important to work with your primary care physician to optimize your health prior to undergoing a hip replacement. With the above risks in mind, when is it time to consider hip replacement? If patients have tried the non-operative treatments and are still suffering, below are some indications it may be time for hip replacement. Most of the time, the patients with significant hip arthritis have primarily pain deep down in the groin and this is the pain that is effectively relieved by hip replacement. In addition, many patients with hip arthritis also have knee pain as the nerves that supply the knee run by the hip and are affected by the inflammation. The hip arthritis can give a patient knee pain when in fact there is nothing wrong with the knee! Most of the time, both the groin pain and the knee pain associated with hip arthritis are dramatically improved with a hip replacement. Buttock pain, while it may be coming from the hip, can also be coming from the back. Pain that is being caused by low back problems may persist after hip replacement, and so patients that have primarily buttock pain should maximize non-operative treatment and have us evaluate their back prior to considering hip replacement. In general, it is best to wait until the arthritis progresses until the bones are touching each on x-ray. Groin pain in a patient with bone touching bone on x-rays is reliably relieved by hip replacement. Some patients where the ball part of the ball and socket (femoral head) is no longer round will benefit from a hip replacement, but this is on a case by case basis. Patients who have hip pain from arthritis but do not have bone touching bone on x-ray should really maximize all non-operative treatments before considering a hip replacement. Before proceeding with hip replacement, the hip arthritis should markedly impact your activities of daily living. Patients who have an inability to climb stairs, inability to put on shoes and socks, or the need to use a cane should start considering hip replacement. Also patients who markedly change their activities or avoid social outings due to hip pain should consider hip replacement. Patients who have hip pain at the end of the day that keeps them from sleeping despite the use of anti-inflammatory medications should consider hip replacement. Hip replacement is an extremely successful operation. In the vast majority of cases, patients do not experience any complications. In weighing whether hip replacement is right for you, it is important to know the complications that occur and known of the alternatives for treatment and we are more than happy to discuss these with you. Most of the time, hip replacement is an entirely elective operation and can be done on the patient’s time. Knowing the risks, benefits and options will help us include you as part of the care team and get the most out of your hip. When is it Time to Have Knee Replacement? Knee replacement is one of the most successful operations in medicine and has improved the lives of millions of patients. Patients often ask about the correct time to have a knee replacement. This paper will explore conservative treatments for knee arthritis, the risks of knee replacement, and signs that it may be time to consider knee replacement. I am a firm believer that conservative treatments for knee arthritis work well and are an appropriate solution for many patients. One of the most effective means of treatments is physical therapy. The most effective therapy is called closed-chain quadriceps strengthening, which involves maneuvers when the foot is planted on the floor to strengthen the large thigh muscles. Often times, this will improve the way that the kneecap moves through the knee joint and will improve patient's pain and ability to function. Weight loss is also a very effective means of dealing with knee arthritis. When we speak about patient's weight we usually speak about the body mass index (BMI), which is a ratio of your weight and height that can be calculated using an online calculators such as https://www.nhlbi.nih.gov/guidelines/obesity/BMI/bmicalc.htm. For patients with a body mass index of above 30, patient should consider weight loss to see if it improves their symptoms prior to embarking on any kind of joint replacement. The way that the mechanics work in the body, if you lose one pound of overall body weight, it takes three pounds of stress off of your knee. I have had several patients who were too heavy to undergo joint replacement and I asked them to lose weight prior to the joint replacement. When they lost the weight they came back and decided that they no longer needed the joint replacement because their pain had improved so dramatically. Certainly this does not apply to everyone, but it has convinced me that attempting weight loss prior to knee replacement is a sound strategy if your body mass index is over 30. Steroid injections into the knee are commonly used for knee arthritis treatment. While there is a very small risk of infection they are remarkably effective in relieving pain. Unlike steroid pills, they rarely have any major effects on the whole body other than a temporary rise in blood sugar in diabetic patients. Steroid injections can be administered into the knee every three months in the clinic (we have to wait three months in between shots) and I have had patients who have had delayed joint replacement for years with routine steroid injections. Anti-inflammatory medications such as Tylenol (acetaminophen) and ibuprofen are also very effective. For Tylenol (acetaminophen) to be effective, patients should take it three times a day. For example, patients without liver problems can take two Extra Strength Tylenol (1000 mg acetaminophen) three times a day to maximize the results. Ibuprofen and naproxen can also be used for pain relief as long as patients do not experience stomach problems such as ulcers or bleeding. Excessive use of ibuprofen or naproxen can cause kidney damage, so follow the instructions on the bottle. Other treatments such as knee unloader braces, heel wedges placed in the shoe and injections of hyaluronic acid (a gel which is injected into the knee) have also been used in the past for conservative treatment of knee arthritis. The American Academy of Orthopaedic Surgeons has not really found them to be of substantial benefit. This being said, if the patient wants to try heel wedges, unloader braces, or injections of the hyaluronic acid gel, I am more than happy to accommodate them. Knee replacement is overall a very safe procedure. However, there are risks to knee replacement that patients should be aware of. The biggest risks following knee replacement are infection and stiffness. Infection is uncommon following knee replacement. However, when it occurs, it is very disruptive to the patient's life. Treatment of infection around knee replacement usually requires removal of the knee replacement, installing an antibiotic knee replacement for three months, and then later a third operation to put a new permanent knee replacement back in place. As you can imagine, this is extremely disruptive to a patient's life. We take several steps to prevent infection before, during and after the surgery and the University of Maryland is a leader in research into how to prevent and treat knee infection. Stiffness is another uncommon, but possible complication of knee replacement. Most patients who have a knee replacement are not able to straighten their leg fully and in general knee replacement allows them to straighten their leg all the way. Most patients after knee replacement are able to bend their leg to the same degree as they were prior to surgery. However, knee replacement does not usually give people more knee bending then they had before the operation. It is always possible that the patients will be exuberant scar tissue formers, who have less motion in the knee replacement than they did before the operation. Instability is one of the main reasons to have a knee replacement and in most cases the stability of the knee replacement is better than the preoperative arthritic knee. However, some patients have instability after the knee replacement or develop it over time and need the knee replacement redone to improve its stability. While knee replacement is very effective at relieving pain, somewhere between 5 and 10% of patients who have a knee replacement still have pain after the knee replacement. This could be as minimal as occasional pain on cold days or they can have pain with climbing stairs or pain with level walking. It is important to understand that vast majority of patients are very happy with the pain relief, but there is a small subset of patients who have persistent pain after knee replacement. The knee is surrounded by major nerves and arteries and it is sometimes possible to injure these during surgery. In the worst injuries, the patient can lose their leg. Fortunately, this is very rare and specific steps to avoid it are taken during the surgery. Medical complications of knee replacement surgery are uncommon, but can include blood clots including blood clots in the lung or leg, heart attack, stroke, and even death. These risks are minimized by optimizing the patient's weight and medical status prior to the operation in conjunction with your primary care doctor. The above mentioned risks are all very rare, but it is important to know that they are possible. One of the main reasons to consider knee replacement is pain that markedly limits everyday activities despite using anti-inflammatory medicines. Pain should be disruptive to the activities of daily living and the patient should feel that their knee pain markedly impacts their everyday activities or they find themselves staying in the house more to avoid activity altogether. Inability to go up and down stairs or needing to use a cane are also signs that it may be time to consider knee replacement. Failure of the anti-inflammatory medications to improve pain when anti-inflammatory medications are no longer able to control the patient's pain and they have bone-on-bone arthritis that is causing them pain on a hourly basis and then it is probably time to consider knee replacement for pain relief. Many patients have trouble with sleeping at night because of the pain of knee arthritis. If anti-inflammatories fail to allow patients to sleep, it may be time to consider knee replacement. Part of knee arthritis is a progressive instability of the knee where the knee becomes much looser and more unstable than the native knee. In some cases, this is mild. In other cases, it is significant enough that particularly when the knee bends or if the knee is in a bent position, it becomes markedly unstable. Many times this is manifested as a "giving way" sensation to the knee. In severe cases, the knee instability causes the patient to fall. It is my feeling that for patients with bone-on-bone arthritis that have started to have falls because of their knee arthritis, it is probably time to have a knee replacement to improve the stability of their knee and limit their chances of falling. There are risks to knee replacements and it is important for the patients to be aware of them. However, they are in general very rare with the exception of incomplete relief of knee pain, which is around 5% to 10% of patients who have a knee replacement. The vast majority of patients are happy they had the procedure. Only the patient can decide when they are ready for knee replacement and in most cases the knee replacement is an entirely elective procedure where that can be done on the patient's time. There is usually no rush to having the operation. The one exception to this is the patient who is starting to fall frequently because their knee is unstable. Patients who have knee arthritis and are starting to fall because of their knee should strongly consider surgery. In summary, a knee replacement is extremity successful operation that has helped millions of patients. Knowing the risks, benefits and options will help us include you as part of the care team and get the most out of your knees. Thank you for entrusting your care to us. We would like to make your healing process as rapid as possible. Below are some instructions for frequently encountered question. Plan to return six weeks after your joint replacement for clinic followup. Appointments can be scheduled at (410) 337-7900. You should leave the water resistant dressing in place for 4 days and then place a dry dressing on the hip incision once or twice a day. The drainage from the hip should be decreasing. If it is not decreasing, let us know. Do not put any creams on the incision for six weeks after the surgery. Most patients have a special glue strip on the hip with no stitches outside the skin. Leave this glue strip on for at least two weeks and then you can peel it off in the shower. Use some form of support (walker, crutches, cane) for the first 4-6 weeks after a hip replacement, even if you do not think you need it. This will protect you from falls and allow the bone to grow into the hip replacement parts. Put a pillow in between your legs when sleeping on your side for the first 6 weeks. In general, it is better to sleep on the side that you did not have operated on. You may shower starting four days after the surgery. The incision can get wet, but should be patted dry at the end of the shower. Do not soak the incision in a bathtub, hot tub, lake, or pool for six weeks after surgery. Showers only until this time. A shower chair can help dramatically with your comfort while taking a shower. In general, you should not drive for two weeks after a joint replacement and you should never drive while on narcotic medications. Try to take the narcotic medications as sparingly as is possible, before going to bed and before physical therapy are two common times when patients feel they have more pain and should take the narcotics. Other pain relievers such as ibuprofen and acetaminophen will be almost as effective without the severe side effects. Most patients will take aspirin 81 mg twice a day and wear compression stockings to prevent blood clots. The stomach coated aspirin (Ecotrin or Bufferin) will be easier to take, especially if you take it with food. Try to limit aggressive hip strengthening exercises such as straight leg raises. These are not necessary for your recovery and will tend to irritate your new hip. If you have chest pain or shortness of breath, call 911 to be seen by the EMS service. Thank you for entrusting your care to us. Below are some commonly asked discharge questions after knee replacement. Plan to return 6 weeks after your joint replacement for clinical follow-up. Appointments can be scheduled by calling 410-337-7900. Leave the water resistant dressing that the nurse placed in the hospital for four days. Then change to a new dry dressing once daily. The drainage from the knee should be decreasing. If it is not decreasing, let us know. Do not put any creams or ointments on the incision for 6 weeks after surgery. The knee has dissolving stitches that do not need to be removed. Bending the knee is very important. Some patients go to a rehabilitation hospital after the operation, where they participate in daily physical therapy. Some patients go home after surgery. Either way, a physical therapist should see you at least two to three times per week to move the knee and keep it limber. If for some reason the physical therapy is not being done, call us so that we can help you schedule it. Do not sleep or rest with a pillow under your knee. Doing so would cause the knee to get stuck in a bent position. Instead, place the pillow under your ankle so that it stretches out the back of the knee and forces the knee to straighten. You may shower starting 4 days after surgery. The incision can get wet but should be patted dry at the end of the shower. Do not soak the knee in a bathtub, hot tub, lake, or pool for 6 weeks after surgery. Showers only until that time. In general, you should not drive for 2 weeks after joint replacement, and you should never drive while on narcotic medications. Try to take the narcotic medications as sparingly as possible: before going to bed and before physical therapy are two common times when patients feel they have more pain and should take the narcotics. Other pain relievers, such as ibuprofen and acetaminophen, are almost as effective without the severe side effects. Most patients will take 81 mg of aspirin twice a day and wear compression stockings to prevent blood clots. Coated aspirin (Ecotrin or Bufferin) is easier to take than uncoated aspirin, especially when taken with food. If you have chest pain or shortness of breath, call 911 to be seen by the Emergency Medical Service. Although we will give you any necessary contact information in person, you can reach us through the main Towson Orthopaedic Associates’ phone number at: 410-337-7900 or Toll-free: 800-678-4671. A University of Maryland Department of Orthopaedics faculty member may have external professional relationships with health-care related businesses. These relationships often lead to the development of new treatments and therapies. The Department of Orthopaedics believes that transparency and honesty in the reporting of these relationships is essential to maintaining trust with our patients and mitigating any conflicts of interest or perceived conflicts that may arise. All external professional relationships maintained by members of the University of Maryland Department of Orthopaedics are reviewed and approved in advance by the Dean of the University of Maryland School of Medicine (UM SOM) for conformance with UM SOM policies in regarding conflicts of interest, conflicts of commitment and professionalism. Consultant for Globus Medical, Inc.